I am an experienced guitarist who has played in theatres all over the country, including many seasons at the Newcastle Theatre Royal and Sunderland Empire Theatre, I have done sessions for the BBC, Channel Four, Metro radio and others. I have played for Pet Clark, Neil Sedaka, Joe Cocker,Roy Castle, Jerry Adler Bert Weadon, The Northern Sinfonia, The Northern Choral Society and many others. I have taught privately for many years, I taught at The Hermatage School in Chester Le Street, adult night classes at Astley High at Hebburn Comp I still teach at Gateshead College.I have also been an examiner for R.G.T. I use the Rock School books as a progressive method and other resources I have liked over the years ie the Berklee guitar method some Yamaha method tunes and studies to try to make the lessons enjoyable while learning. I can also teach the ukulele in block lessons or half hour lessons for younger students. JohnFrom Claire (5/5): Yes the lessons are going very well, My son is enjoying them and John is a good motivator. He encourages my son to play music which he enjoys and he plays alongside him too which is great. He is very patient and offers lots of positive feedback. 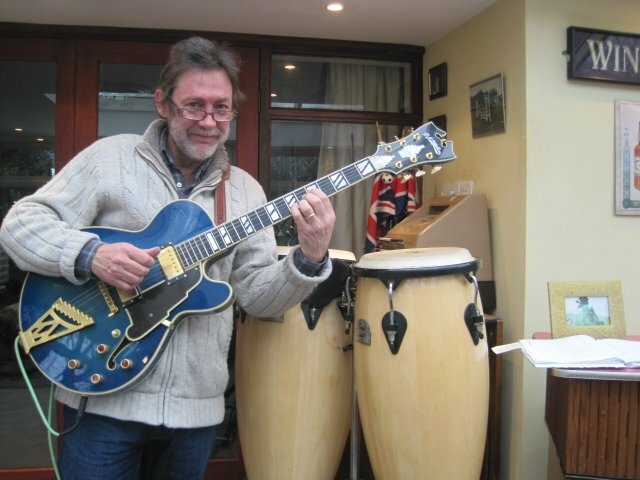 JohnFrom John (5/5): John began tutoring my 9 year old grandson 6 weeks ago, his lessons are so enjoyable, introducing practical and theory so subteley my grandson can not put his guitar down.He has the confidence play for anyone who will listen.